You know you’re a runner when you hear the word “bib” you think of race numbers not babies and Gerber food. Yesterday when I was organizing my bookshelf, something fell from one of my books: a race bib, which I used as a bookmark. 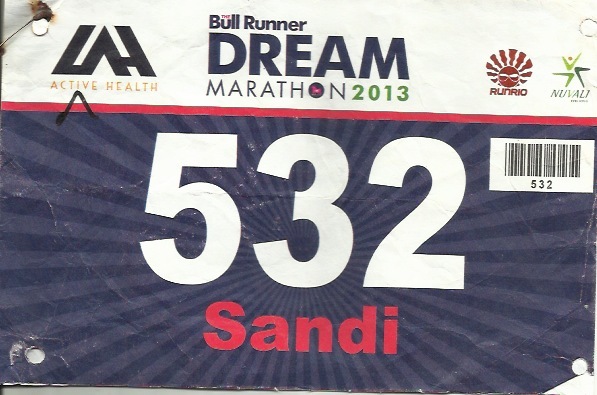 It was the bib from my first marathon, the 2013 Bull Runner Dream Marathon. 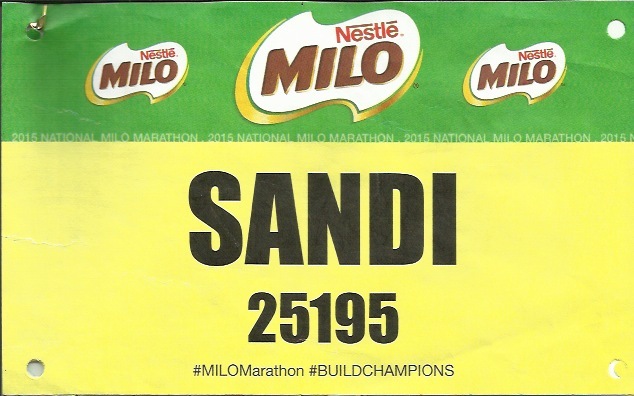 A flood of memories rushed through my mind…the excitement when I attended the first Bull Circle, the early morning runs in BGC and Nuvali, the Nuvali hills, and then of course the race day. I stared at my bib for a long time thinking, “Did I actually run this?” Unbelievable. It seemed so long ago. 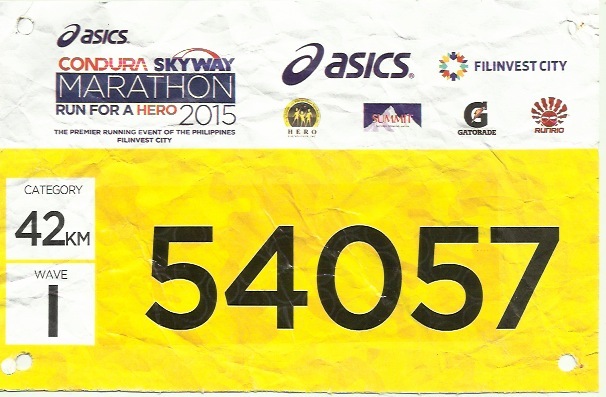 And then there was my 2015 Condura Skyway Marathon bib from my last marathon. Ah, I always get the chills everytime I’d pass by Magallanes. I’d look at THAT bridge, that intimidating Magallanes bridge that we ran four times one fine morning in February. Funny thing is, I want to run it again. Still in the teal green Metrowide Courier plastic pouch was my Milo 21k bib. The race will be this Sunday, July 26 at 4:30 in the morning. Sadly, I will not run it. Ok, I’m all for pushing it, for going out on a run even when I’m tired or had only a few hours of sleep. But for several weeks now my blood pressure had been erratic. You know, sometimes I think I’m superwoman but I learned the hard way that I couldn’t do it all. I’ve already missed several weeks of training and it would be unwise for me to run this race. I had a training program that I started to follow for Milo but there were personal circumstances – my unstable blood pressure, building a new home in Pasig for my son, and helping him move in – things that played havoc in my training schedule. For sure, life isn’t always smooth sailing that is why I have accepted that it’s ok not to race Milo. I must remember that it is important to keep things in perspective and balance. I know I’ll be back in proper training soon but for now I have to get enough rest without feeling guilty. I won’t make training another stress to add to my life. Running shouldn’t be an added pressure. Running should make me feel better and healthier.